This picture was taken in April 2006 during the WalkIslay 2006 walking week on a mild sunny evening. It is one of my favourite views on Islay, especially on a clear and sunny day. The lighthouse is only a fairly small lighthouse, nevertheless I think it is beautiful. 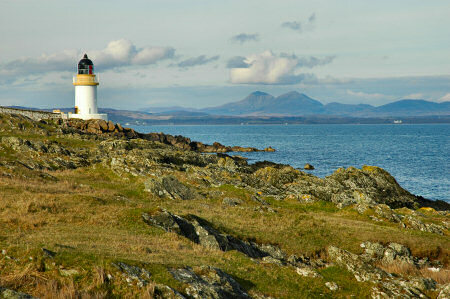 Then add the impressive Paps of Jura in distance with Loch Indaal stretching out between the lighthouse and the hills.